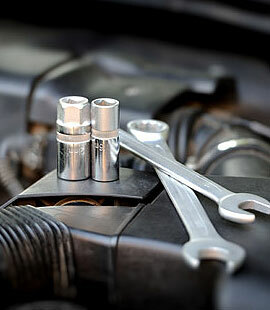 For expert auto service, you can trust, stop by one of our neighborhood stores. Our certified technicians will gladly help you make the right choice for you and your vehicle. Your vehicle requires the right fluids for it to continue running smoothly. Using the wrong ones can dramatically affect its lifespan and performance. Fluids help keep vehicle parts lubricated and clean. Plus, they play a vital role in the cooling system, powering the engine, transmission, and brakes. Stay smart about fluids to stay safe on the road. Fluids perform not only as lubricants but also as cleansing agents. Your Honda recognizes that lubricants and fluids are its life force. So for best maintenance, use only the manufacturer’s recommended fluid for your vehicles. Properly maintain your car’s fluid and have them replaced on a regular basis. In doing so, you can make cleaning easy to reduce wear on the engine and reduce the chance of damage to other mechanical parts. Get your vehicle’s fluids flushed to ensure that all your automotive components are running efficiently. Also, your brake fluid, transmission fluid, and power steering fluid levels should be regularly checked and topped at every single oil change. Especially during hot summer weather we get in FL, you may need to add continually windshield washer fluid. You can trust us to keep your vehicle safe and reliable. We provide leading services maintenance, oil changes, flushes and more at very affordable prices plus we service all makes and models so no matter what you are driving we can service your car.